There are occasions when an employee quits a job that you can do nothing about. Maybe they’re moving to another city, or maybe they want to return to further their education. 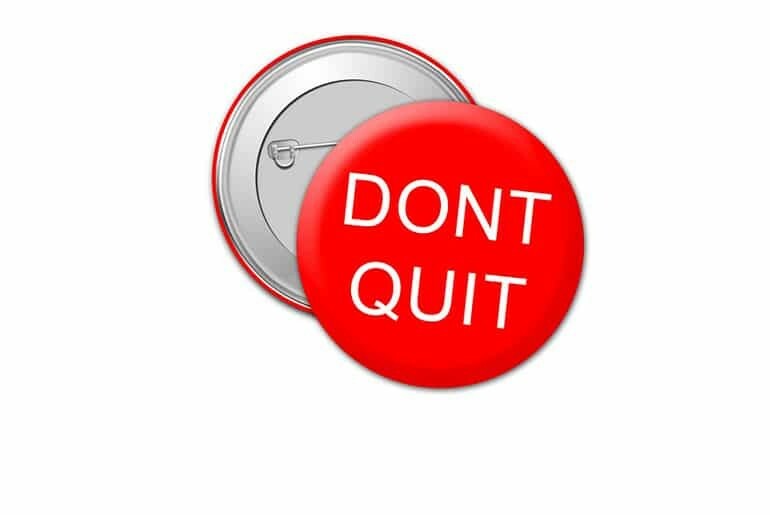 Most of the time, however, you can prevent employees finding reasons to quit. It’s important that you do this, because job-hopping can be very costly to businesses. Recruiting new talent takes time and money, and it’s time and money that could be better spent elsewhere. Moreover, you might find that you end up replacing a superstar team member with a more average one. In this article, we’ll be taking a look at the top reasons why your employees might be quitting. People spend most of their lives at work, and they spend a lot of their time at work with their boss. For this reason, it’s important that the relationship between you and your employees is good. An uncomfortable relationship can be disastrous. It will undermine the employee’s desire to work for you, and thus their motivation and productivity will plummet. According to research, just 13% of employees feel engaged at work. That’s a really low percentage, and it leads to boredom – and a desire to move on. In other words, employees want to be challenged when they go to work. If they aren’t challenged, they might feel as though they aren’t contributing to the company. And it’s this lack of worthiness and usefulness that could see them head elsewhere. One of things that brings people joy when they go to work is knowing that they’ll be working alongside people they like. If we can socialize with the people we work with and feel relaxed with them, it makes it much harder to want to leave a position. Research has shown that having friends at work motivates us and makes us want to stay at a particular job. The economy is changing, and jobs that exist now might not exist in a few years’ time. And with so many startups failing, it’s normal for an employee to get a bit nervous about their own future. People need security, and they need reassurance about your company’s future, and thus their own. If they don’t get it – and if instead all they hear is hearsay about a rocky economy and rumours that your company isn’t meeting its targets – they might look elsewhere. It’s a good idea to share quarterly financial reports with your employees and keep them up-to-date in regards your growth. If you can show people that your company is stable and progressing, they’ll be much happier. Following on from the above point, the economy is changing. Artificial Intelligence is becoming more widespread, and new terms like “omnichannel shopping” are being rolled out. Those who don’t innovate or adapt will be left behind – and sharp-eyed, A++ talent will know this. To keep your best talent, you need to demonstrate that your company is well and truly embracing the economic changes in 2018, and that it’s prepared to do what it takes to move forward. For eCommerce stores, this will include adding Point of Service card readers and chat bots to the store as they embrace omnichannel selling, as well as adopting AI where possible. Sometimes, you just can’t stop an employee leaving if circumstances are out of your hands. A lot of the time, however, this won’t be the case. It’s up to you to communicate with your staff, provide a non-toxic environment where everyone gets along, provide challenges and demonstrate that your company always working on their brand strategy and moving forward with the times. Michelle is a copywriter that works with Heroic Search, a Tulsa based SEO company. She has a knack for storytelling and helping companies educate and convert their websites visitors. Workplace Worries? Let’s Solve That! What Are Web Applications And Why Does Your Firm Need Them? Why not sign up to our newsletter to get a weekly update of our favourite content and Access to over 100 FREE Downloads?